If you Googled Galway last week you would have seen Edel Browne in international media like The Huffington Post, Niall McCormick winning 20k and local guys Chris Murphy and Simon Kiersey, winning regionally to pave the way for Galway on a national stage. It's not from the wind they caught it. The thing that group have in common is this year's IBYE – Ireland’s Best Young Entrepreneur organised by our Galway LEO office. They also have a group of people around them that push them forward and support them as they go. One such person is Declan Droney. He's founder of Kinvara Smoked Salmon and one of those hidden gems we have in Galway who puts countless hours and enthusiasm into propelling our young startups forward. Declan does it out of admiration for the path those young founders are taking. He listens to hours and hours of the same pitch with small variations because those startups are incredible people to be around. There are a few parts to the startup community in Galway. First, those shining examples of Element Wave, Ex Ordo, OnePageCRM and Builder Engine. Then we have the group just bubbling at the surface, at the stage of IBYE. Finally, there are some a little behind that, at the very start of starting. It is for them that it is so important that we highlight the people who are behind the scenes. If you’re thinking of starting up, it’s crucial you know that there are experienced and great minds who will help people make the leap into founding a company. The youngest entrepreneurs are really only just forming their own community beyond competitions. One of the things Edel Browne and Jean Noonan do to facilitate this further is run Young Innovators Panel. This month, they will all be together at the Bank of Ireland Workbench at 6pm on November 26 at 6pm. It’s a particularly great time to get together as it is just before BlueDrop Medical represent Mayo, Galway and Roscommon in the National Final on December 3. Young Innovators Panel is a staple of the month for young founders and interested mentors. That’s why I was so surprised when I met a lady at Student Startup Weekend in Dublin. Katie McMahon pitched ‘Headspace’ – a unique app to let people talk to people who understand them. I was so surprised to hear she was a NUIG student, and had never heard of Galway’s Startup Weekend or Young Innovators Panel. That would make for a lonely entrepreneurial journey except for her trips to Dublin. Let’s celebrate not just the makers of Galway, but the enablers. None of the people who help for the right reasons want their names beside founders who have worked hard to reach media, or get awards. 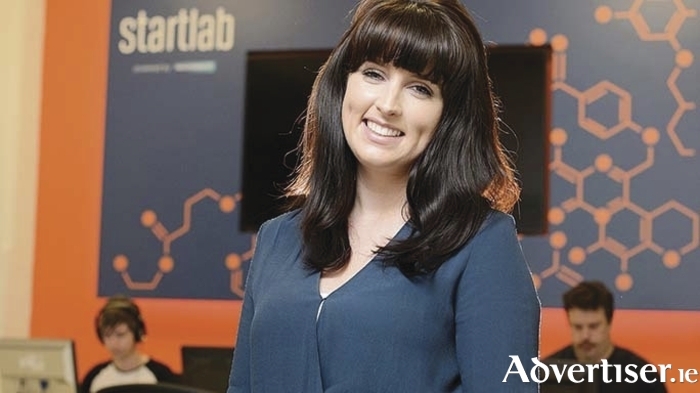 It’s not for them, it’s for passionate, dedicated young startups like Katie. We need to make a concerted effort to show that those young entrepreneurs didn’t do it alone andwe need to highlight the community forces that quietly guide them to success.